Editor's note: This is Part 2 of our Entrian Odyssey Nexus Class compendium. To see Part 1 and Part 3, click here and here. 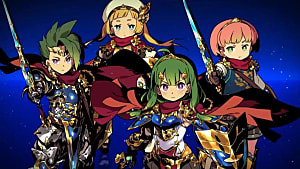 Classes and party composition form the backbone of any Etrian Odyssey experience, and Etrian Odyssey Nexus is no exception. 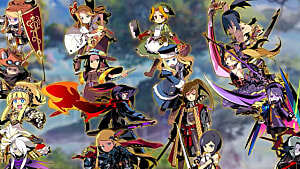 It offers 19 classes to use for your party of five, drawing on all previous games for these classes and adding the Hero as a new one. Even if you already know how the classes work in their original games, Nexus gives things a bit of a twist by making new combinations possible. 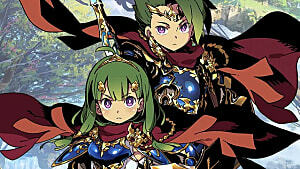 In this part of our extensive Etrian Odyssey Nexus class coverage, we'll focus on the game's heavy-hitting powerhouses. These offensive classes feature some of the most dynamic skills and require a good deal of planning to use effectively. 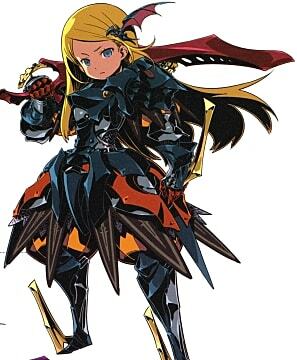 The Ronin is Etrian Odyssey’s primary damage dealer — and is notorious for its fragility and low TP pool. However, you’ll probably find its best not to focus on all three stances simultaneously. The reason for that is because like all EO skill trees, the Ronin’s more advanced skills unlock after you open the basic ones. Spending TP to balance out all the stances is one option. However, unless you plan on the Ronin being your only offensive unit, the more efficient choice would be focusing your TP on just a few stances, at least early on. For example, your Ronin could take advantage of its naturally high attack and prioritize Clear stance skills, making it an all-arounder. Or you could spread out your points between Upper and Swift skills, ignoring low defense and letting you sweep in and take out foes quickly. The majority of the class' later skills deal critical damage if your Ronin is in a stance at the time, but they’re also tied to a specific stance. Some cut the time your Ronin remains in a stance, while others automatically put the Ronin in a stance. You could also do like some players and create more than one Ronin, covering all the stat bases and making sure you dish out critical damage with almost every hit. It’s a versatile unit, one that can complement or supplement your other party members’ strengths. Once you decide on a path for your individual Ronin, you’ll probably stick with it for a while. The Shogun is a versatile offensive unit with some interesting support skills as well. It can’t handle heavy armor, but it has a unique skill granting higher defense if it equips two swords, helping it match the Hero in both damage output and absorption. The guild registry menu tells you the Shogun is meant for offense, and it’s not hard to see why. Skills like Echoing Slash and Bolt Slash are powerful without spending too many Skill Points on them, and Echoing Slash attacks twice in a turn — once initially, then once after the target’s turn. Avidya Sight isn’t worth your time unless you do your exploring at night. But, it does unlock Morning Star, which boosts attack power during the day. Depending on your style, that’s probably when you’ll do most of your fighting anyway. Then there’s Twin Swallows, a double attack (if you have two swords equipped), and later, 5-Ring Sword (2-4 attacks). Keeping the Shogun alive on the front line absolutely requires you to invest some in Double Sword, but the end result is definitely worth it. On top of all that, the Shogun gets some excellent support skills. Great Hero draws attention to a specific unit and raises its attack for three turns, while Front Command initiates an entire frontline counter if the specified unit is targeted. It gets a boost later with Blitz Command, where the entire party attacks if the user is targeted. That’s obviously where Great Hero comes into play, increasing the chance the target unit will be attacked. If you use the Shogun with a Gunner or Survivalist, Shot Command —unlocked at the Master level — is one to invest it too, since it gives them an automatic attack if a specified line is hit. Because the Shogun really should be an attack unit — despite its support abilities — you want to think about which support skills best match your playstyle, instead of investing in some of each. It’s completely feasible to have a powerful Shogun without any of these support skills. It suffers a fair bit from low TP, which is a noticeable drawback once you start leveling your skills. Bolt Slash is the biggest problem early on, but Twin Swallows isn’t far behind. Still, with its naturally high attack and double equip options, the Shogun serves as a useful plain attacker too, even once its TP runs out. The Highlander makes its first appearance in a mainline EO game in Nexus, and it can be a difficult class to use. It wields spears and has high attack, but it’s also like a reverse Hero. 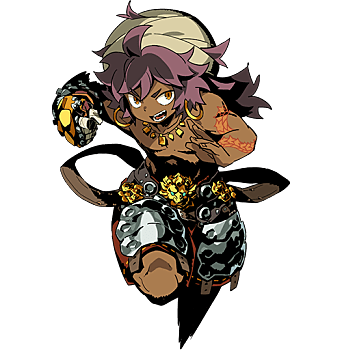 Most of its skills require either some of the unit’s own HP or some of the entire party’s HP, so it’s a unit that requires some strategy to use effectively. The Highlander has two potential build focuses, offensive and defensive. Most of its skills are offense-oriented, though, so you could conceivably build a decently balanced Highlander with a mix of both. 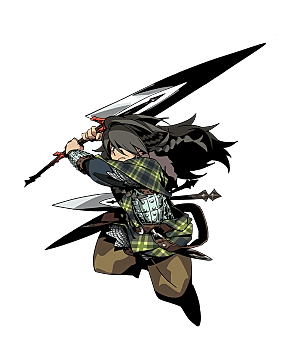 What makes the Highlander so potentially useful, though, is that its attacks target entire lines at the basic level, with Veteran skills hitting all enemies. 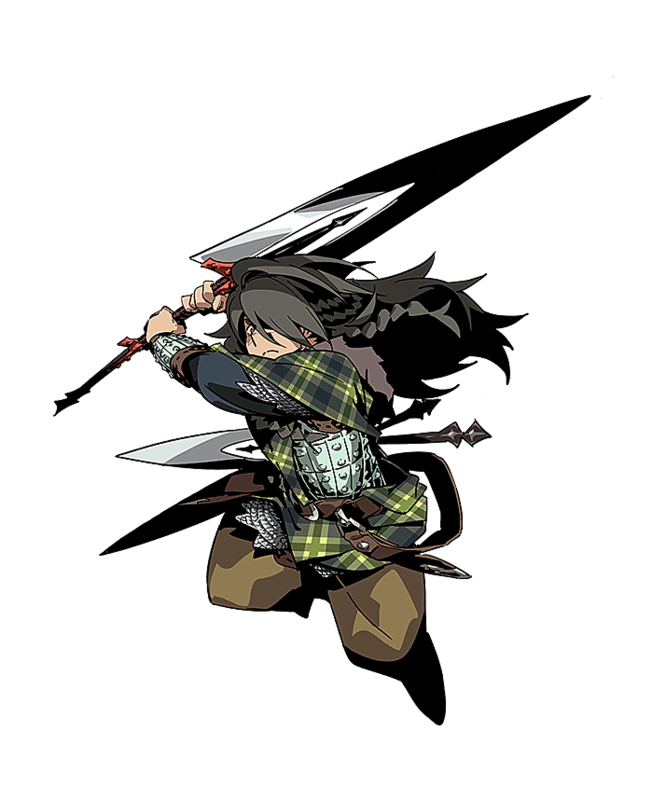 The Highlander also has a good chance at exploiting elemental weaknesses with Spear Assist. This skill takes on the element last used by a party member. So, say your Zodiac just nailed an enemy’s weakness to electricity, the Highlander can follow up with a powerful melee attack infused with Volt. Bloodlust is a useful passive skill, too, working basically as a counter skill. But obviously, it’s more likely to activate the more Skill Points you pour into it. 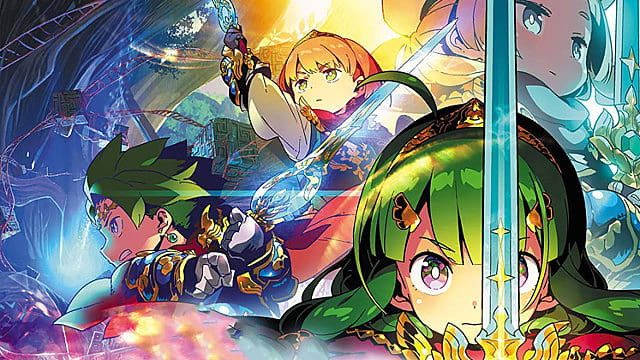 On the defense side of things, you get the chance to consume your own HP or party HP to increase bind/ailment resistance, improve chances to inflict the same, or just increase defense in general. The most useful passive skills to invest in, though, are Turning Tide and Bloody Veil. The former heals party HP when your Highlander defeats an enemy, while the latter increases the Highlander’s defense each time its attacked. Because the Highlander is going to use a lot of HP one way or the other, it’s a good class to pair with a War Magus and its twice-per-turn healing abilities. To maximize Spear Assist, you’d want a Zodiac or Gunner around as well, classes more likely to use elements on a regular basis. The defense boost from a Protector wouldn’t be amiss either, since it would help the Highlander stay alive longer, even with reduced HP. 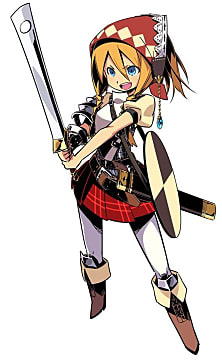 The Landsknecht is a good, balanced sword unit, capable of taking hits and adding debuffs to strong physical attacks. It has three different skill tree paths, but the first and third are the main ones to focus on. The first skill path starts with Falcon Slash, a slash attack that always goes first. 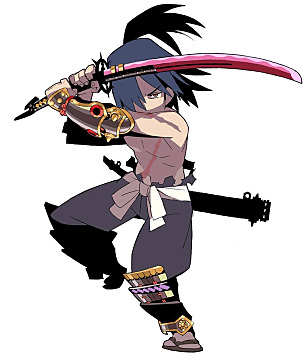 It then branches off into skills that grant you two consecutive hits, splash effects, or line piercing effects. Because the Landsknecht is a naturally strong unit, unlocking at least a few of these is a good idea. Support skills, like Vanguard that increase attack, work naturally with this branch, especially if you invest in the self-explanatory Physical Defense Up skill too. The third path is the debuff one. It starts with Power Break, a skill whose usefulness in the early game cannot be overstated. Most debuffing units don’t deal damage while they debuff, and many early monsters can wipe your party out in a turn or two. The chance to whittle their health away and give your party a fighting chance at survival is vital. Later, the Landsknecht gets Guard Break and Speed Break for even greater usefulness. The second path is the Link path. These skills attack a unit with a regular slash attack, then if another party member targets that same enemy, there’s a follow-up attack of the chosen link element. The problem is, the link attack is very weak, even after leveling up a few times. If you want to spend your points on the links, it will pay off eventually. But the Landsknecht’s other skills are more useful right away, without as much investment. However, you won’t get a lot of these until Level 20, when the Landsknecht gets access to its Veteran skills. Rather like the Zodiac, this class requires patience and isn’t the most versatile choice initially. 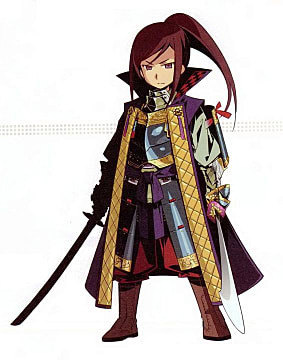 But if you stick with it, you’ll find the Landsknecht is a great addition to any frontline. The Nightseeker is a bit like the Ninja — powerful attack, dismal defense. But, unlike the Ninja, it’s not difficult to keep the Nightseeker on the frontline. There’s not necessarily a best build for a Nightseeker. Centering on a specific ailment or two and then maximizing its self-support and higher offense skills works best. 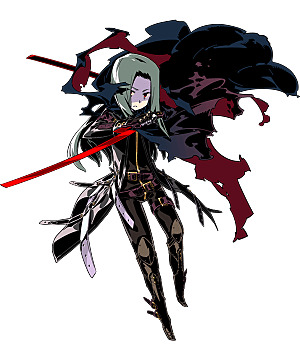 Proficiency is easily the Nightseeker’s best skill, since it increases attack against enemies suffering from ailments. Combined with Shadow Bite at the Veteran level, which increases attack against ailing enemies, plus Foul Mastery, which raises unit’s attack for each ailment inflicted, you’ve got a superpowered attack unit here. The Nightseeker also has some vital support skills. Shadow Cloak nullifies one attack per turn for 3 turns, while Auto-Cloak gives you a chance of activating Shadow Cloak at the start of battle. If you don’t focus on ailments, or if you create two Nightseekers, one ailment-focused and one with a regular melee focus, then these are necessary skills. For example, Biding Cut activates twice if the unit isn’t hit that turn, and other attacks like Blade Fury can hit twice with two weapons equipped. Like the Shogun, equipping two weapons takes up an armor slot, but unlike the Shogun, you get no defense bonus for it. Shadow Cloak keeps you alive instead. Granted, the Nightseeker is a superpowered unit that takes some setting up to really use to the best of its ability. However, if you have another ailment-inducing unit, like the Harbinger or a higher-level Arcanist, then you can focus solely on high-powered attacks without spending additional TP or dealing with the chance of not inflicting a status ailment. And, as mentioned, it pairs naturally with the War Magus, enabling debuffs and stronger attacks for that unit. The Imperial uses a unique weapon and can deal lots of damage. However, it is absolutely not recommended for beginners. That's because most of this class' best skills take it out of action for at least two turns. Dividing Skill Points effectively takes practice and judgement. The Imperial class has two primary skill paths: regular melee attacks and Overheat-related attacks. Because the Imperial has some of the best starting offense, you could use it effectively without ever worrying about overheating. The melee attacks are powerful; some inflict binds, and some restore HP or TP. Unlike other offensive units, though, the Imperial doesn’t get many skills capable of targeting more than one enemy, so it’s not a super tank like the Hero can be. But even the melee skills tempt you to invest in the Overheat ones because they’re designed to reduce Overheat time. The first Overheat skill you get is Assault Dive, and it puts the drive blade out of action for eight turns. From there, you can invest in stronger drive blade-based attacks or support skills meant to decrease overheat time. But still, expect the Imperial to be hamstrung for a bit after using one of these mega attacks. Its elemental skills are also Overheat-related, so you won’t be targeting enemy weak points on a regular basis with the Imperial. But pairing one with the Sovereign would be an effective way of bypassing this problem and dealing heavy elemental damage with even just regular attacks. With all of that, it almost goes without saying you need some additional frontline offense if you plan to use the Imperial. At the very least, it can hold its own even while not dishing out damage, because it has naturally high defense and equips heavy armor. A faster, more versatile unit like the Hero or Shogun would be good complements to help ensure your party still makes it through every fight. The Pugilist initially seems like your typical Monk-type fist fighter. 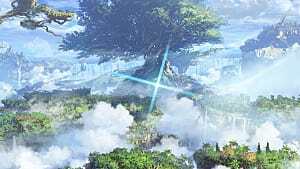 However, it’s a dynamic unit that can inflict binds and ailments while dealing large amounts of damage, making it a great unit for beginners and those familiar with the class system. The Pugilist doesn’t have a skill tree as easy to dissect as Entrian Odyssey's other classes. That means there's not necessarily a specific path you could choose for it. Instead of investing in the opening bind moves beyond Level 2, pouring your points into One-Two Punch would be a decent move because it has the chance of inflicting binds after each attack. Combined with Corkscrew, which has the chance of causing paralysis, and then Following Strike at the Veteran level, which could follow a bind attack with Corkscrew, you’ve got a versatile unit that will likely attack more than once in a turn and incapacitate your foe. It’s a good thing, too. The Pugilist has a low TP pool, so it’s definitely a unit that needs to hit hard while it can, especially since some of the more advanced skills require a good bit of TP. Another potential downside is that the Pugilist is mostly bottom-heavy in terms of skills. It gets more and more useful, basic skills than other units, and the Veteran and Master skills are fewer in number and uses. Granted, that does mean you can invest in support skills that increase bind chances and attack, so it’s not all bad. As you’d expect, the Pugilist isn’t a defense-focused unit. It has to be on the frontline to take advantage of its physical strength, though, so you’ll need a Protector or Sovereign with it, or even a War Magus to help with repeated healing. Be sure to check out Part 1 of our guide for our balanced class tips, and Part 3 for our support class tips.